The Kitzbüheler Alpen ski area is groped like a cloverleaf around the enchanting winter sports town of Kitzbühel, with the Hohe Salve to the north-west, the Brixental to the south-west, St. Johann in Tyrol to the north-east, and the Pillersee-|Tal to the south-east. A total of nine ski areas, delivering a combined 1,081km of pistes can be found here, each with its unique qualities and scenic delights to offer. Kitzbühel/Kirchberg with its 189km of pistes is located right in the middle of it all, between Kitzbüheler Hom and Hahnenkamm. This ski area, one of the oldest and most traditional of its kind, is not only a playground for the rich and famous but has long been a popular destination for holidaymakers. The place still captivates with a special atmosphere that oozes sophistication with plenty of glamour, enthralling stories and ski legends. There's also a bustling nightlife scene here, as well as exclusive retail opportunities. 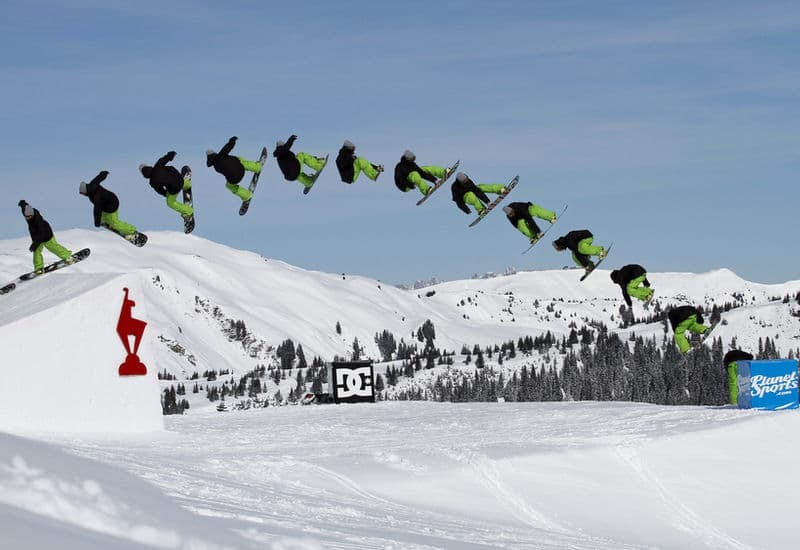 It's also a dream destination for families, with Kitzbühel offering plenty to keep youngsters and parents alike entertained, with adventure parks aplenty, ice skating rinks and toboggan rides all on offer. The Kitzbühel/Kirchberg ski area comprises a total of seven communities in Tyrol and Salzburg: Kitzbühel itself, as well as Reith, Aurach, Jochberg, Pass Thurn-Mittersill, Hollersbach, as well as Kirchberg and Aschau in the Spertental. This region, with the cute name of KitzSki has 54 lifts, 189km of slopes (of which 119 are snow-covered), and 36km of ski routes. With an altitude ranging from 800 to 2,000 metres, it's one of the lower areas in the vicinity, with a pleasant climate combined with a snow-sure guarantee. The landscape is also enchanting, with gentle peaks and some mountain majesty demonstrating just why this place has become a dream destination for alpine enthusiasts. 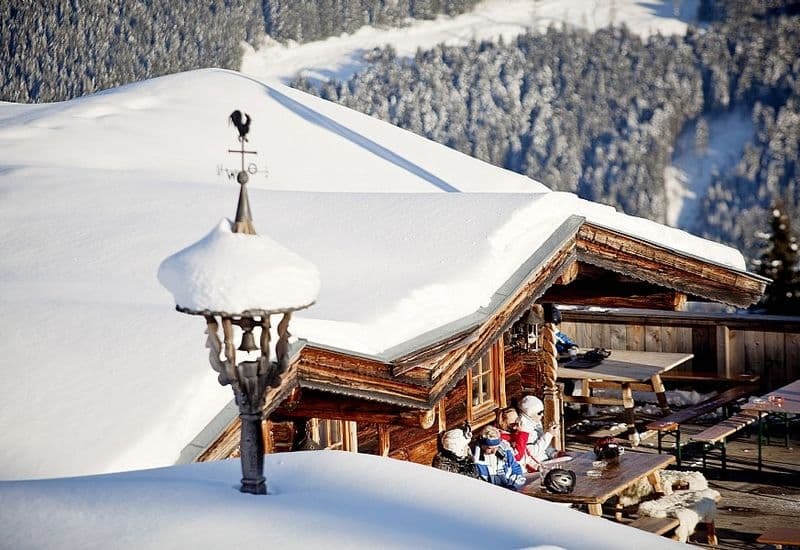 There is something for everyone here, from demanding skiers drawn to the extreme slopes at Hahnenkamm, to families who appreciate the range of parks on offer and enjoyable toboggan runs. What's more, if you're looking to enjoy your break in style, this is the right address for you. From Bramberg am Wildkogel, this ski area is easy to reach by ski bus or car. 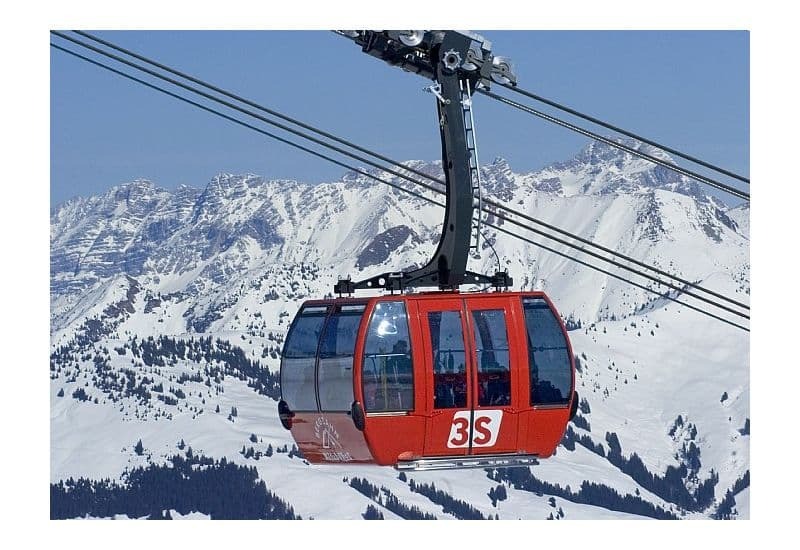 The Kitzbüheler Alps “Panoramabahn” gondola in Mittersill/Hollersbach can be reached from Neukirchen and Bramberg within 10 minutes by car, while from Wald, the journey is no more than 15 minutes on average. Kitzbühel is nestled in a huge area of various ski and adventure arenas that leave absolutely nothing to be desired. The area in Kitzbühel itself is relatively easy to ski on for the most part, while being equipped with all the comforts and amenities you'd expect. The density of lifts, railways and elevators is so high that you can reach every possible point with no fuss. 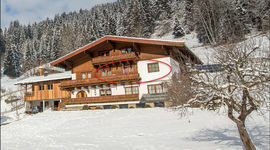 There are various ski schools on offer in the Kitzbühel Alps. You can learn the skiing basics or snowboarding techniques in small groups. The ski instructors will teach you the latest techniques and styles if you're more experienced and looking to develop your knowledge. You also have the choice between different programs in group lessons or solo instruction. If you have a little more experience, you can adventure with ski tours and deep snow runs, with well-trained guides on hand to help you uncover the most beautiful spots and huts of the region by means of a ski safari. The Kitzbühel Alps All-Star Card is valid in the Kitzbühel Alps. 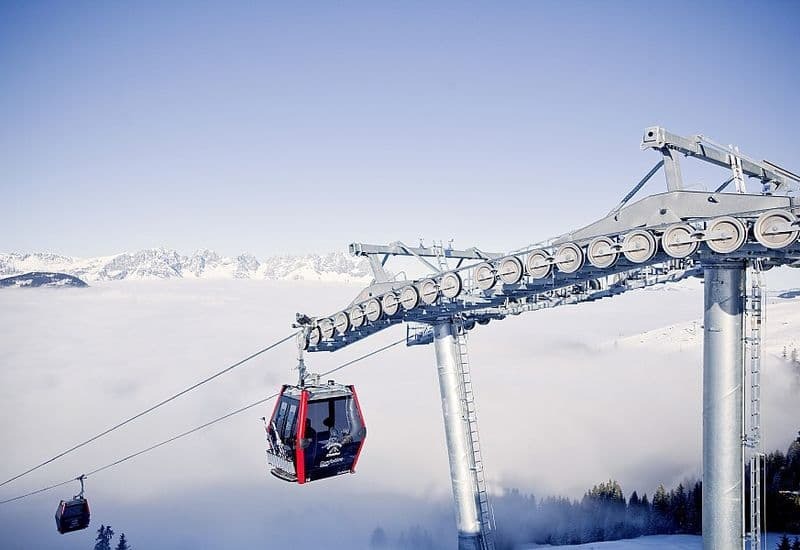 With this card you have access to the 10 major ski resorts in Tyrol and Salzburg: Kitzbühel, SkiWelt Wilder Kaiser-Brixental, Schneewinkel, Hochtal Wildschönau, Alpbachtal, Skicircus Saalbach-Hinterglemm-Leogang, Zell am See & Kaprun (incl. Kitzsteinhorn glacier 3,203 metres). Thanks to the latest contactless card technology, the ski pass always stays in your pocket. For the chip card, you make a deposit of 2 Euro, which you get back if you return the card undamaged at one of the return points at the end of use. What all beginners will appreciate is that the practice ski lifts in the valley are free to use! With the Kitzbüheler Alpen All-Star-Card you can take the ski bus for free. Specific terms and conditions apply depending on the exact ski area you are in. Given the size of this area, there are several rewarding possibilities for snowboarders. 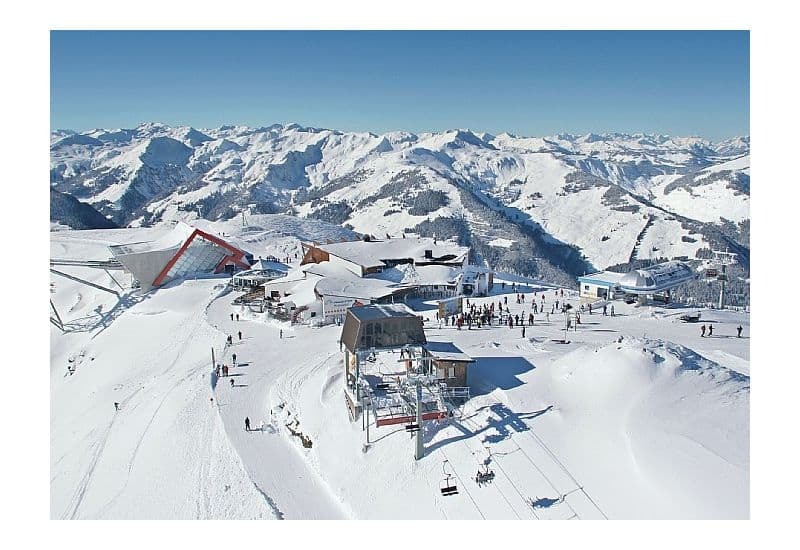 There are also snow parks in Kitzbühel-Horn for boarders to brave. Here, snowboarders can enjoy plenty of space to do their thing. Ideal for those looking to perfect their freestyle moves in peace and quiet, without the hustle and bustle of crowds. 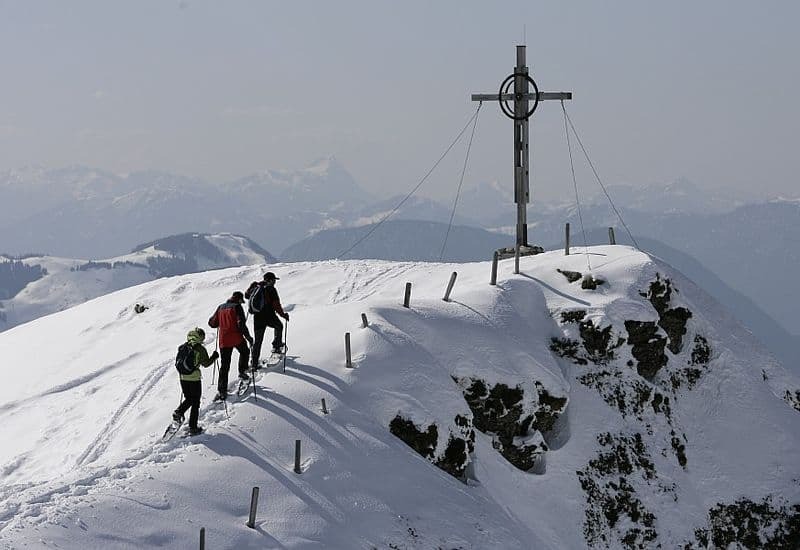 Around Kitzbühel and the Wilder Kaiser you will find 580km of prepared skiing and classic cross-country trails. The Kitzbühel Alps are particularly famous for their wide valleys with some truly stunning landscapes to admire for those embarking on a cross-country ski adventure. There are also many entrances where changing cubicles, lockers and showers can be found for your convenience. Kitzbühel, of course, also offers possibilities for tobogganing. For example, there are two toboggan runs in Kirchberg: one is on the Gaisberg. With 60 managed huts and hundreds of snow bars along the downhill runs and at the lifts, après-ski is sometimes already in the middle of the hustle and bustle of the slopes. 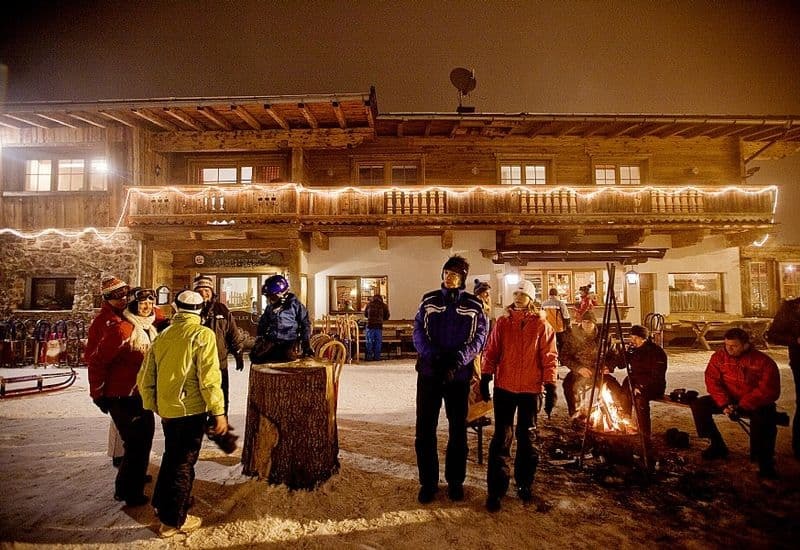 In fact, Kitzbühel's epicureans get their money's worth - especially when it gets dark. Countless trendy bars, high-class restaurants with Tyrolean and international gourmet specialities, discos and party events attract winter guests to the city. If you like, you can party until sunrise and get to know other interesting people every evening. Musically every taste is served - from folk music hits to electronic sounds. Shopping! Distilleries! Indoor swimming pools! That's the triad for mother, father, and child if you adhere to clichés. You don't have to stick to the clichés, though, because Kitzbühel has much more to offer: Local museums, art galleries, cheese dairies, wellness temples, Christmas markets, sports cups and a real igloo village are just a few of the many possibilities you have if there is bad weather or your feet hurt. And, of course, there are winter hikes, carriage rides through the snow and even carnival parades. It never gets boring in Kitzbühel. Kitzbühel, with over 8,000 inhabitants and a multiple of overnight capacities, is a real town bursting with life in all seasons, but especially in winter.